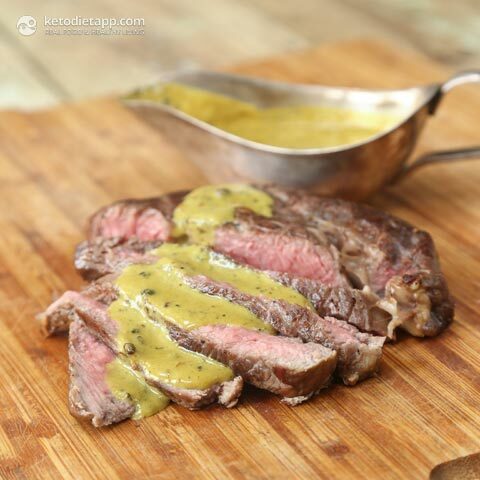 Mustard & Peppercorn Sauce can be served with any meat cut including beef steak, pork or lamb chops, and it's my favourite sauce. It's quick, easy to make and you'll only need commonly found ingredients. 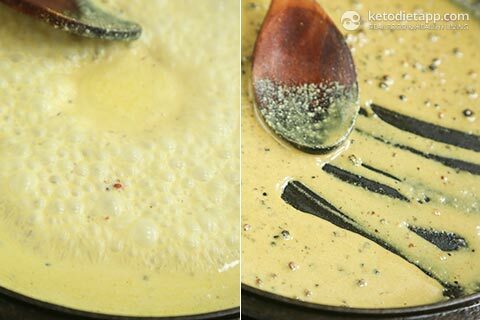 If you don't eat dairy, use keto-friendly coconut milk instead - you won't be able to tell the difference! 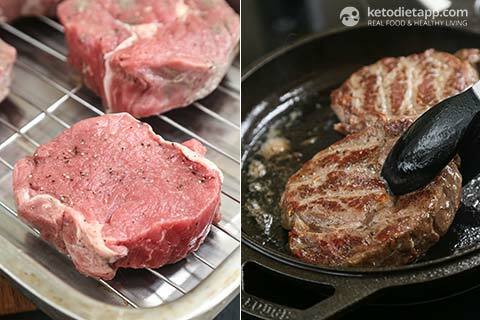 There are two methods you can use to cook your steak depending on its thickness. If the steak is thick (1 1/2 - 1 3/4 inch / 4 - 4 1/2 cm), follow the instructions for Reverse-Seared Steak that requires both oven baking and pan searing. Otherwise, for thinner cuts, follow my guide to cook the steak on a pan. Once the steaks are cooked, transfer them onto a wire rack, loosely cover with a foil and let them rest for about 10 minutes before serving. 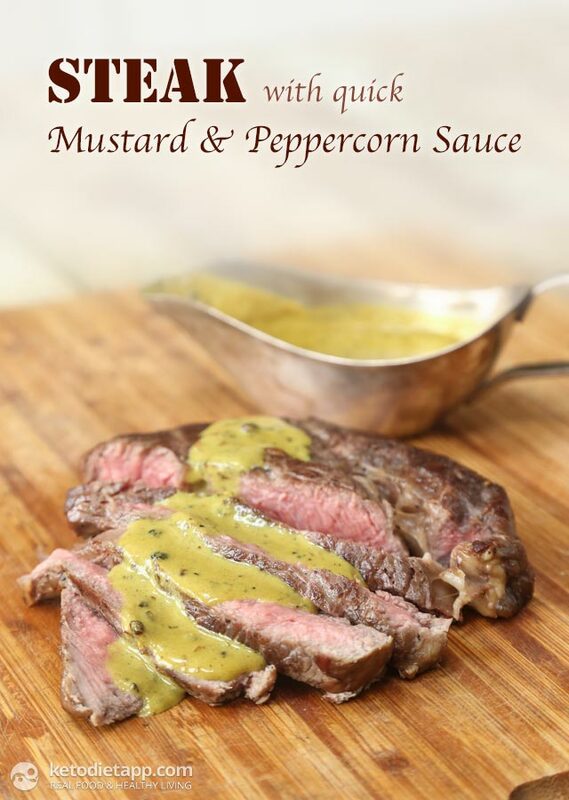 Meanwhile, prepare the mustard & peppercorn sauce. 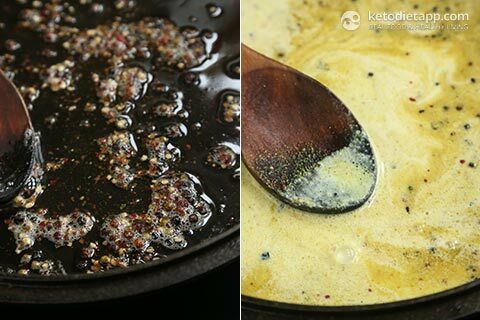 Add the remaining ghee to the pan where you cooked the steaks. 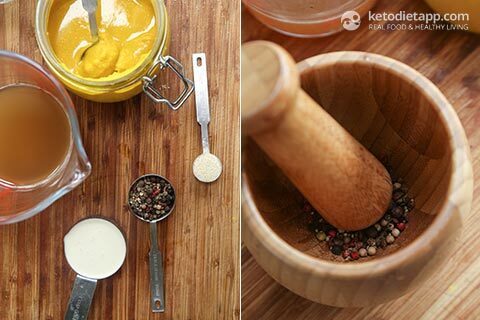 Crush the peppercorns slightly using a rolling pin or a mortar and pestle. Place in the pan and cook over a medium-high heat for 2-3 minutes, until fragrant. Add the onion powder, mustard, cream and bone broth and reduce the heat to medium. Bring to a boil and let the liquid reduce by half. If using fresh onion, add to the pan and cook for 3-5 minutes before adding the peppercorns. Cook for 3-5 minutes or until creamy. Serve the steaks with the sauce, keto cauli-mash and/ or some crunchy greens. Do the macros given for this recipe include the meat, or just the sauce alone?